Walking along the seashore today I observed flocks of sea birds, some of whom I recognise and a few others I don’t. The wind was blowing and they were facing the direction of the wind, head on, their heads low and feathers being roughed up by the strong gusts coming towards them from the land. Kelp lay thick and steaming on the shore and the wagtails and swifts were dive bombing the myriad insects that swarm above the rotting seaweed. There was a dead seal, his teeth bared and a dead cormorant, wings flattened against the sand – washed up within metres of each other. Twenty two years ago my father’s body also washed up on this beach and the memory of this event is less painful now because I have come to understand that the end of one cycle always precedes the beginning of another, and within that, the chance for rebirth and regeneration. The return to source is life’s fate, but what is the fate of the inanimate things we leave behind during our life time? Mixed in with the kelp and insects and shells and sand were pieces of broken glass, some of them roughed up enough not to be dangerous, but a few sharp enough to pierce the unsuspecting foot of a human, or the paw of a leapingly excited dog. 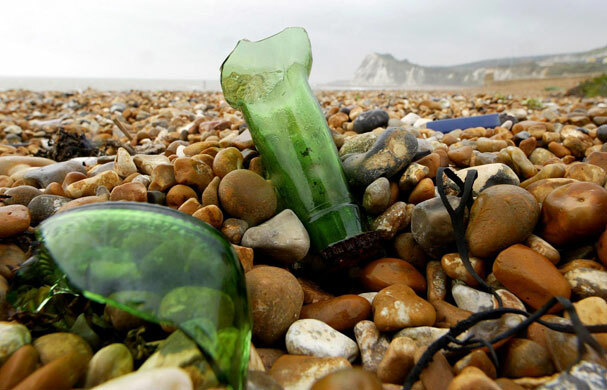 Amongst the organic detritus were plastic bottles and lids and broken bits of polystyrene, rusting cans as well as the ubiquitous plastic bags. Thankfully this stretch of the southern peninsula is not as polluted as some island beaches I have seen in remote places of the world. But how do these items regenerate? They are not part of nature’s cycle; they have been created by us and are used by us every single day and then unthinkingly, discarded. I have tried to count how many plastic bags I have used in my life, thrown away in my life and I can’t. They would be as many, if not more, than the grains of sand stuck to my feet. Because I don’t see the result of years of waste I have thrown away I am ‘immune’ to its total staggering quantity. But then I visited a landfill site and was beyond astonished at the sheer volumes of stuff that has been chucked away and left to rot, scavenged over by sea gulls and landfill ‘harvesters’ who make a meager wage collecting what can be recycled from them. Landfills are nearing capacity in most parts of this country. The urgent need to recycle has never been more relevant because we face a waste Tipping Point and without a mass call to action to shift the behaviour of consumers the problem will just escalate. The Tipping Point is the point of no return. After that critical peak there is an escalation of events and in this case a very dirty chain of events will ensue. It is a massive challenge but one that can be overcome and transformed into a regenerative chain given the right practise and understanding. 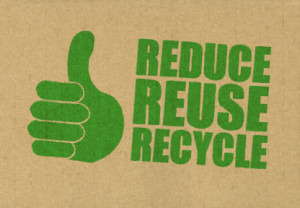 If we can recycle our waste then it will not be waste. Recycling PET bottles is an example. All PET plastics bottles (think all soft drinks and water bottles, peanut butter jars and other plastic food stuff containers with the 1 plastic id code) can be recycled. Synthetic fibres are recreated from reclaimed and recycled PET plastic and made into a host of other useful items, like clothing and mattress fillers, duvet and pillow fillers. The industrial capacity to recycle PET is in place but the recycling capacity has not been reached because not enough bottles are making their way back to the recyclers. They end up in landfills instead. 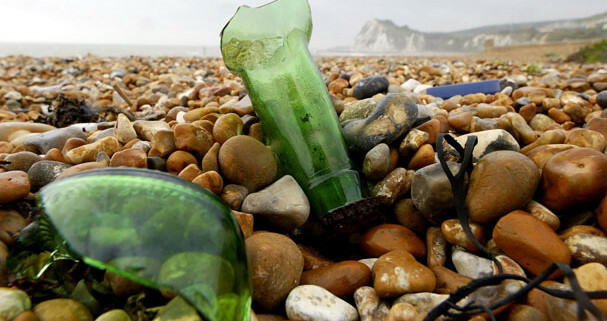 Glass can be re-used; paper can be recycled into paper seven times before it has to become something else. Tin cans are completely recyclable. Empty jars and containers can be re-used. These things can regenerate in our hands because we sought to create them in the first place. We just have to know how to take care of the things and activate some juicy creativity when devising new uses for our stuff. Reduce – re-use – regenerate. The Green Conundrum Snap, crackle and pop!